Introduction, Investigation, Treasure Trove, Day Trips, Time Travel, Rhapsody. "You See, I'm a Public School Boy." 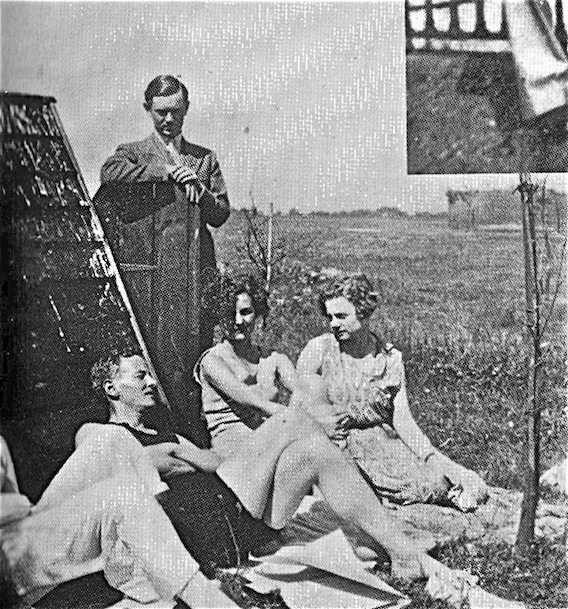 There is only one picture of Evelyn Waugh and Diana Mitford together. It was taken on July 5, 1930, when Diana was married to Bryan Guinness. That's the 20-year-old Diana on the left of this image. The image is reproduced in Evelyn Waugh: A Biography by Selina Hastings (1994) where the man in bathing costume is identified as Diana's husband, Bryan, and the other woman as Pansy Lamb. The picture was taken a month after Waugh had noted in his diary that he went to the Savoy Theatre and said: "I am Evelyn Waugh. Please give me a seat." He got his free seat that day. Perhaps Diana was trying not to let him forget his arrogant behaviour by making him STAND while on Guinness family property. 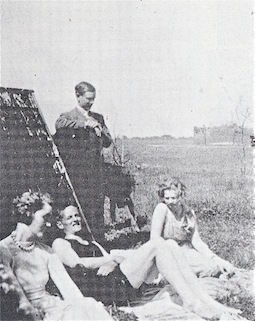 The following picture, also taken at Pool Place on Saturday 5 July, 1930, appears in Philip Eade's book Evelyn Waugh: A Life Revisited (2016). 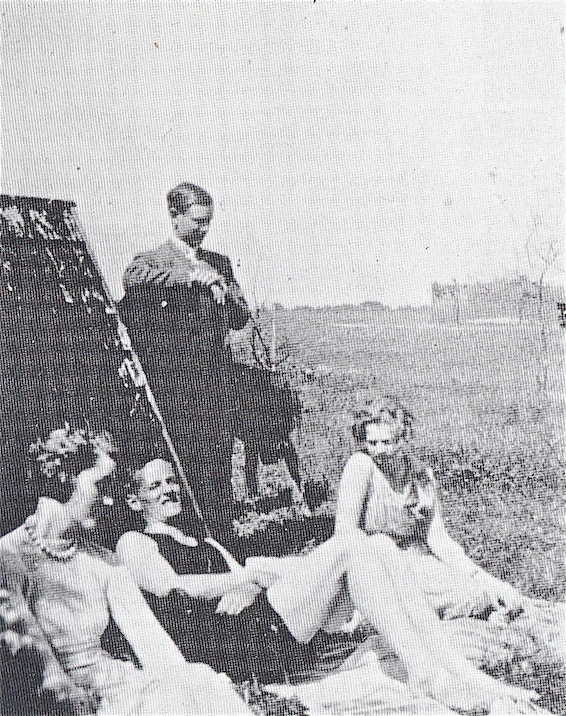 Here the reclining man is alternatively identified as Rupert Mitford, Diana's Uncle. 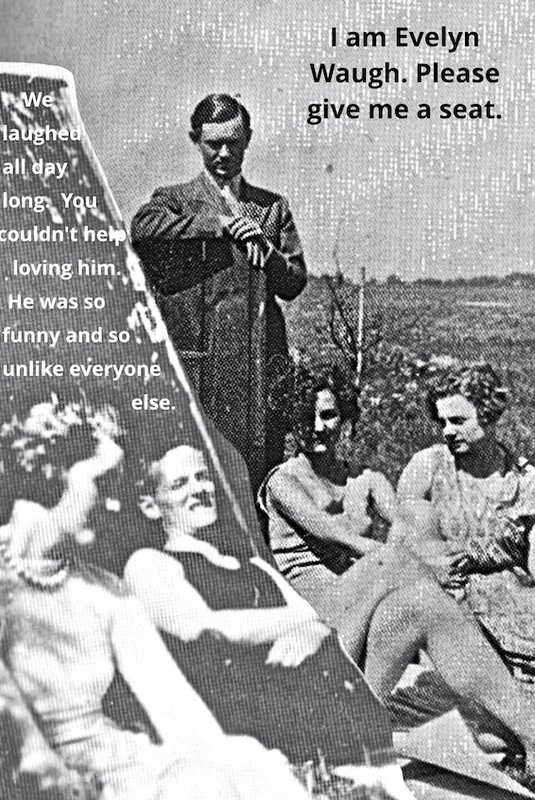 This is also the only picture of Evelyn Waugh and Nancy Mitford together, though their friendship endured for decades. ...Evelyn demanding that the photographer ensure that he and Nancy were centred in the second picture, even if that meant the most photogenic woman in the world must be chopped off at the waist. Or put it this way: "Off with her head!" That's where this piece might/should end. But I can't resist adding this, and in so doing giving Diana the last word.